In this series, I’ll explore missed opportunities for brands looking to build awareness, loyalty, and ultimately – return on investment. Let’s start by looking at Sephora Middle East’s recent campaign and what they could have done better from a content and optimization perspective. As video continues to grow as a medium for branding in the region, it’s no surprise that more major brands are building their YouTube presence. One such brand is Sephora Middle East. 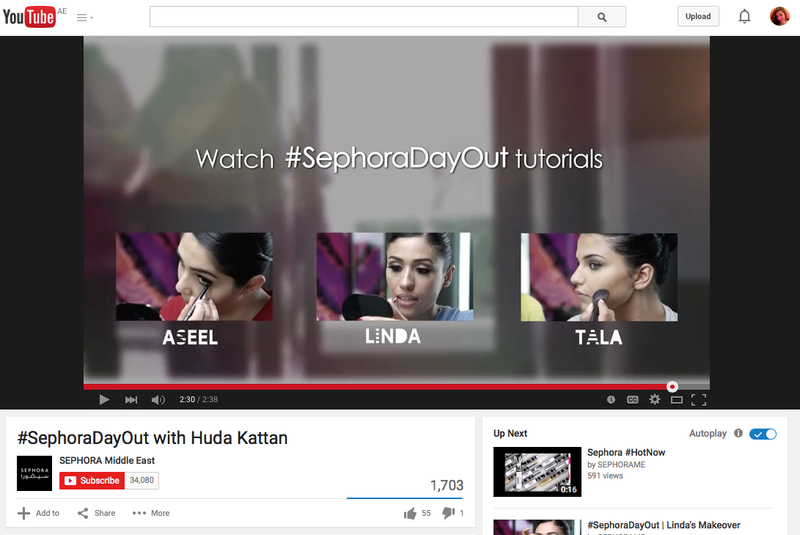 Sephora Middle East’s YouTube account has been live since May 23, 2010 and has over 34,000 subscribers at last count. For a recent campaign, they teamed up with top beauty blogger, Huda Kattan of Huda Beauty, and created a campaign called #SephoraDayOut. 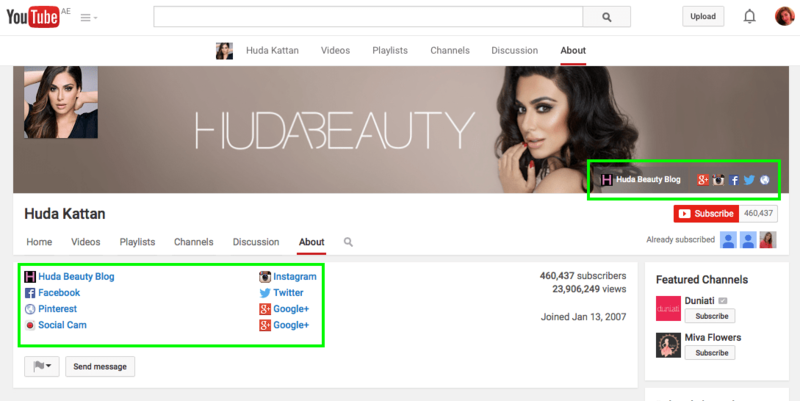 This is a smart move for Sephora as Huda has a massive following of over 460,000 subscribers on her YouTube channel. Unfortunately, someone didn’t manage to check off all the optimization possibilities when launching their campaign – here’s what’s missing. Let’s start with their About page. First, the copy hasn’t been proofread and the word “Description” is still there – in the middle of the content! Second, not all outward links have been featured. Sephora Middle East has a website and an Instagram account, but those links are missing. Why miss an opportunity to increase traffic? 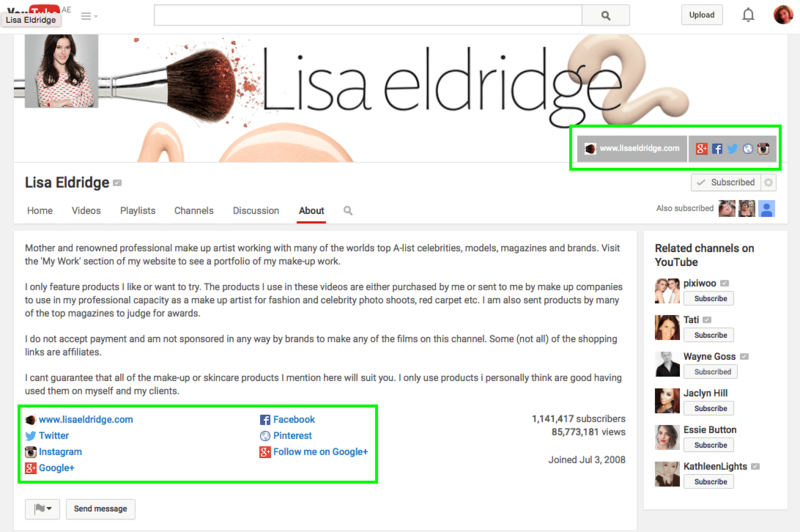 The beauty bloggers (Lisa Eldridge and Huda Beauty), on the other hand, have properly optimized landing pages. They feature several external links, a quick win to offer viewers multiple channels to engage with their brand. Next, let’s talk about the actual videos. 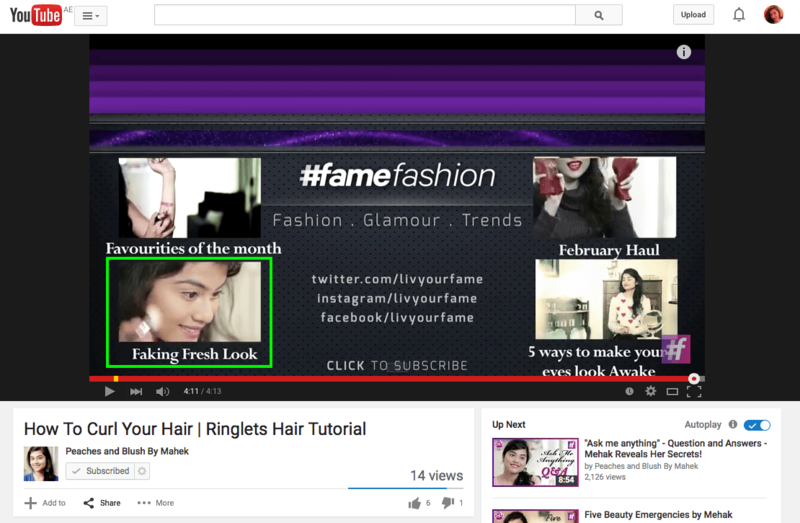 The campaign starts with an introduction video, followed by 3 makeover videos. The production team cleverly inserted images at the end of the video to give viewers an idea of what to watch next, but didn’t link them! 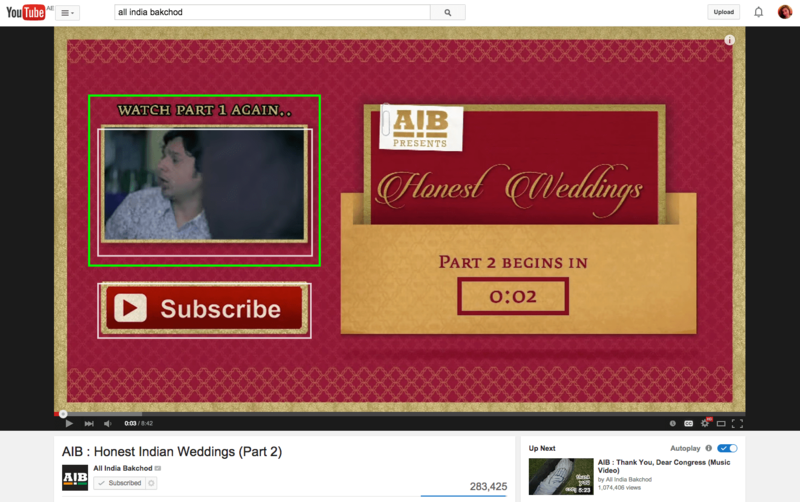 Instead the YouTube Autoplay list takes me to a video not part of the campaign. How should they have done it? Take comparisons of Indian blogger Peaches & Blush (from the #fame network) and comedy group, All India Bakchod. Both of them have used annotations to link their own related videos and keep their users engaged on their channel/campaign. 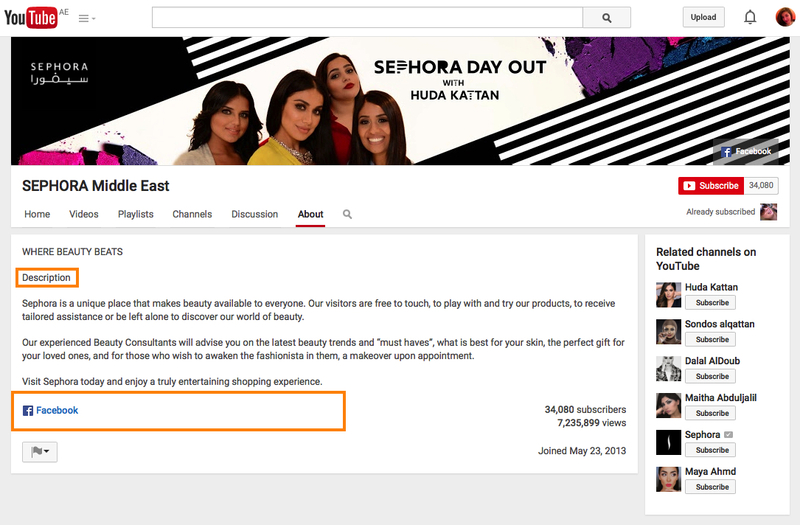 Considering Sephora Middle East has invested significantly in the campaign, collaborating with a key influencer, and producing high-quality videos and visuals, it’s a shame that they’ve missed out on basic optimizations. Brands need to remember to leverage the content they create on different platforms to maximize the reach of their campaigns. Takeaway: Don’t just focus on the campaign. Optimize the basics of your distribution to maximize reach.